You must know at first that finding a sugar daddy isn’t very easy and basically there is no shortcut, but it doesn’t mean you never found one, it just takes your time and you need patient, with some skills. 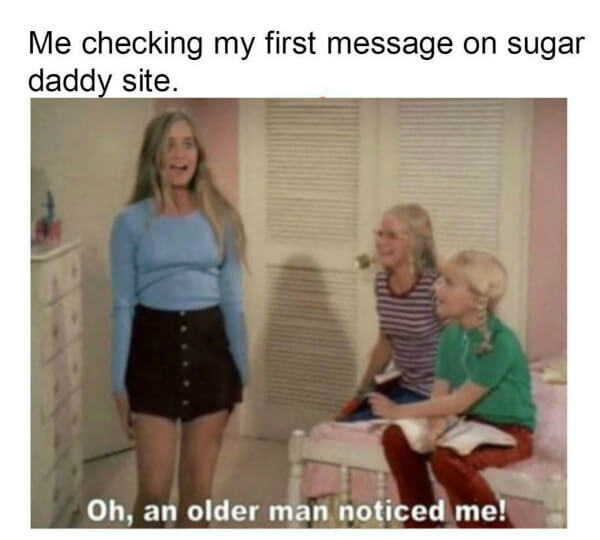 This post will provide some tips for every sugar baby, to help them find their first sugar daddy. When you go through the first time, you can handle the next time. An essential place to start sugaring is sugar daddy site, this world is social network’s now, and every one of people no matter they want sugar or just meet new people, always find what they want online. For finding the first sugar daddy for you, you should choose the proper platform and be sincere and patient, after all of those salt, you will know who is your best choice, and this whole thing might not take you one month. Which not means one man you better attract them but as more as you can, then make them have the intention of getting to know you. The best and very first way is boots your profile, pick a clear, gorgeous and aesthetic picture to draw visitors’ attention. Don’t just say you want to have fun, or message me, or something seems like you only want hookup dating, describe your mind, which kind of dating you’d like to go on, and of course, who you really are. As the previous post I write about, connection matters a lot in sugar bowl. You must keep in touch with your sugar daddy with more than one contact methods, make sure you two chatted frequently before you two have the relationship for sure. Talk about your personal life from small like daily routine to serious like your sense of sugaring, as long as you two get to know each other well, it brings an unbreakable connection that makes people gradually getting used to it. It may be common that sugar babies initiate the conversation and sugar daddy don’t put any reply, but don’t lose your confidence, they may have bulk messages or simply be fond of other types of sugar baby, which is not on you. You just say hi to every potential sugar daddy you see, and keep your passion on. Make the one on the other side in this conversation think you as a good one to build sugar relationship and enjoy your company.